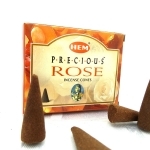 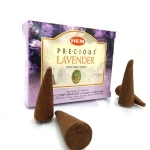 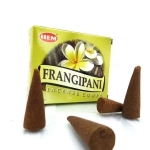 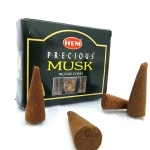 Very similar to incense sticks, incense cones are cherished for their pleasant fragrances which last a long time,or for ceremonious and meditative purposes. 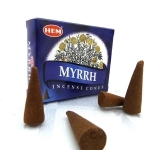 Their main difference from incense sticks, is that they burn much faster, and offer a stronger aroma when they burn. 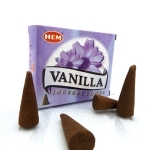 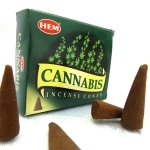 Each of our Hem cone incense boxes contain 10 incense cones and one small metal tray to burn the incense in.